TVS Pro introduced the Upgraded UHZ65, along with the possibility to upgrade existing UHZ65s to allow for a wider color gamut – including up to 80% BT2020! See Press Release Here. 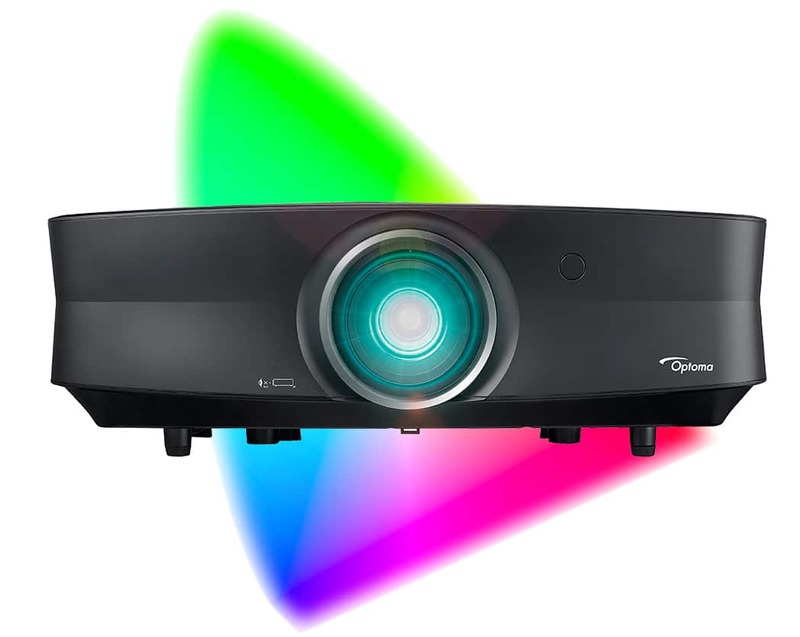 TVS Pro introduced, made a comparison YouTube video, and began selling the first 4K projector available under $2K – the Optoma UHD60. TVS Pro held their first DJI New Pilot Experience introduction and training to DJI drones – taught by DJI instructors. 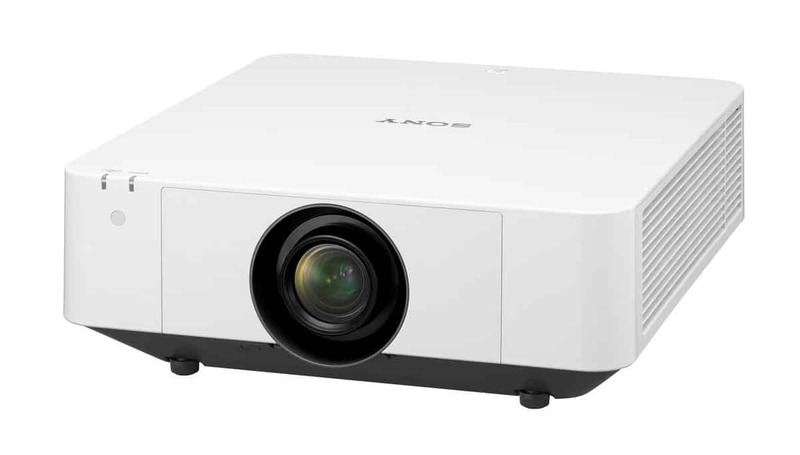 TVS Pro introduced and began selling the world’s first 3 LCD laser projectors from Sony, the VPL-FHZ65W. 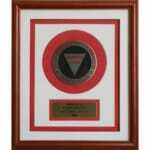 Their first sell was to Brigham Young University in Provo. TV Specialists, Inc. introduced and showed the world’s first 2-axis gimbal aerial cinematography system, the DJI Phantom – locally in Utah. 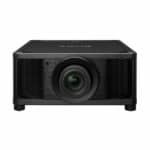 TV Specialists, Inc. became the first in Utah to show a native 4K projection system under $50k, the Sony VPL-GZT270, at the University of Utah Scientific Computing and Imaging Institute. 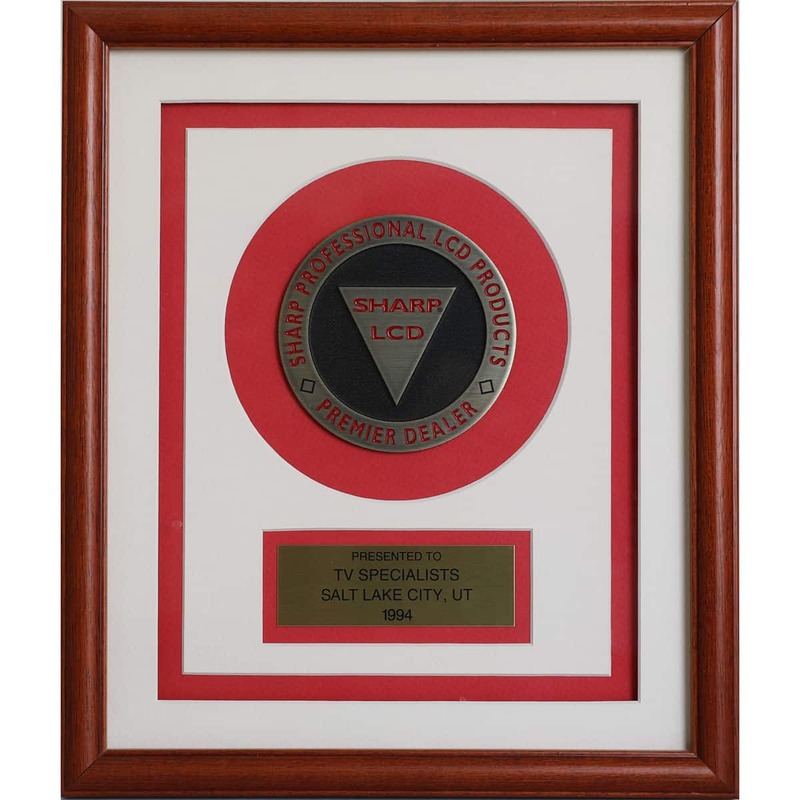 TV Specialists, Inc. created a new division to start doing business as TVS Pro. TV Specialists, Inc. installed first native 4K projector in Utah, the Sony SRXT105, in a local business conference room (1-800-Contacts). TV Specialists received the “Best of State” award in Audio Visual Equipment, which was presented to Ken Bollinger, the founder. TV Specialists, Inc. introduced the first pro-sumer affordable digital progressive scan/24fps Panasonic AG-DVX100 camcorder at the Salt Lake City Film Festival. It was also shown at Slamdance Film Festival in Park City in 2003. 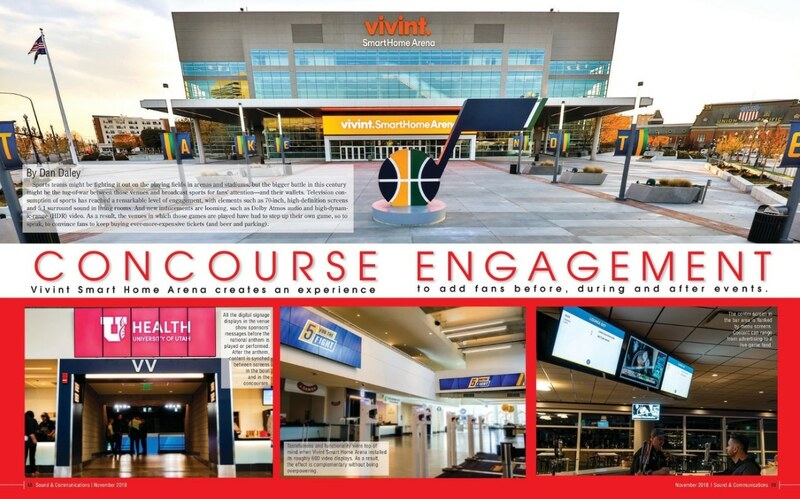 TV Specialists, Inc. installed eight dual-stacked Sharp 4,000 lumen LCD projectors for the center-quart big-screen display system in the Jon M. Huntsman Center at the University of Utah. TV Specialists, Inc. partnered with Panasonic to become the official 2002 Winter Olympics AV supplier. Venues and installations included Gallivan Center, University of Utah Stadium for the opening ceremonies, Utah Olympic Park, and Heritage (Olympic) Village used by the athletes. TV Specialists, Inc. became the first Authorized Sony Cine Alta 24p Digital Cinema dealer in Utah (and currently remains the only one). TV Specialists, Inc. was the first in Utah to receive and record an over-the-air broadcast test of High Definition (HD) in conjunction with local PBS station KUED Channel 7. Began selling and installing RCA and Sony Direct TV satellite dishes. TV Specialists, Inc. installed the master satellite system for Granite Furniture Stores. TV Specialists, Inc. became the first in Utah to show, sell, and demonstrate off-air “Digital VHS” HD recorders using pre-recorded HD tapes. 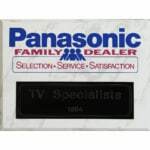 TV Specialists was designated as the Salt Lake City valley’s official Panasonic Family Dealer for offering outstanding product selection, service, and satisfaction. 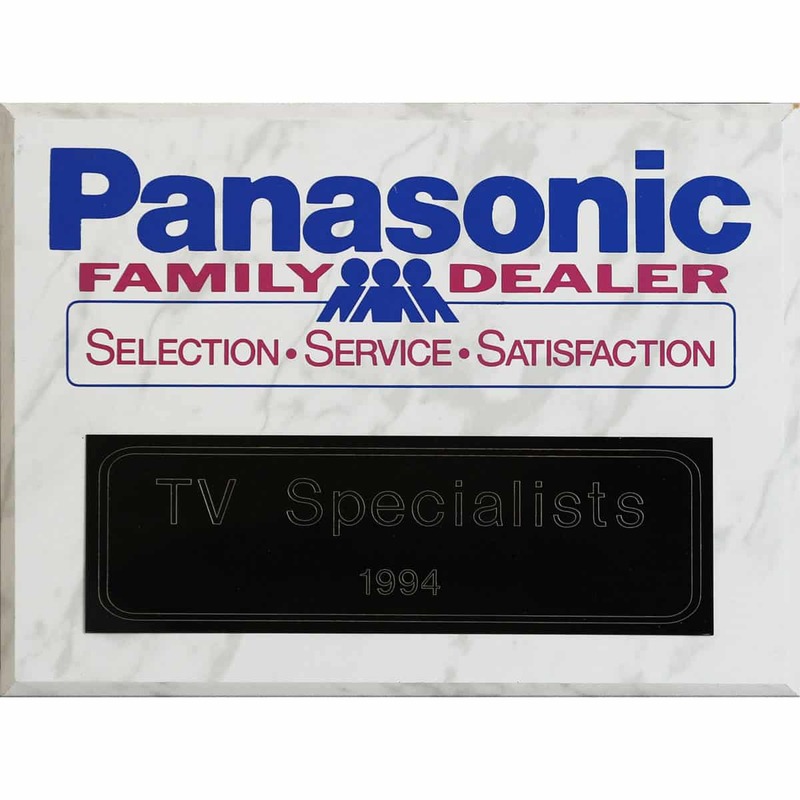 TV Specialists was recognized by Panasonic by distinguished position in the television industry, as well as its tradition of outstanding customer service, by appointing it an Authorized Dealer of Panasonic Prism Televisions. 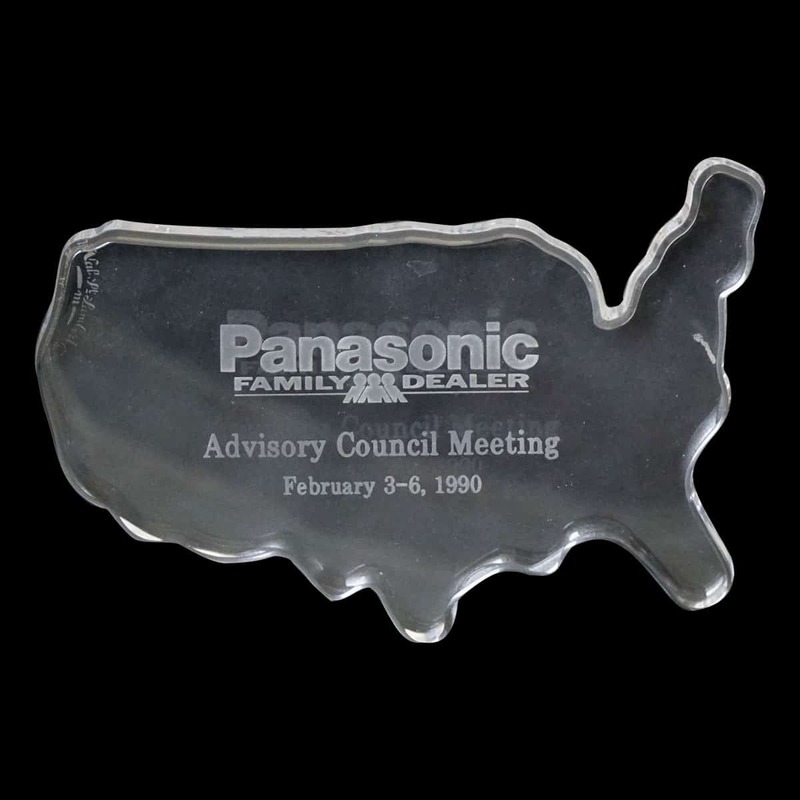 In 1990, Ted Bollinger, of TV Specialists participated in Panasonic’s Family Dealer Advisory Council Meeting – it was limited to a few select Panasonic Family Dealers. TV Specialists, Inc. announced and constructed one of the first showrooms, nationally, capable of advanced and High Definition television. Introduced the 4th Generation of the original Wizard (first A-B roll digital effects systems with dual time base correlators under $10,000) was introduced. It featured 3D digital effects such as picture flips, zooms, and spins. It also featured a touch-panel control. TV Specialists introduced the Wizard 3rd generation – a lower-cost version of the original Wizard (first A-B roll digital effects systems with dual time base correlators under $10,000). TV Specialists, Inc. began supplying Full Swing Golf the first capable RGB Panasonic projectors (PT-DW105) along with Extron RGB-109 and computer interfaces for golf simulators. Full Swing Golf is currently the premier sports simulator technology and entertainment company. Combined First Live Video Effects and Projection in a Live Production in Utah. TV Specialists, Inc. combined digital effects from “The Wizard” with custom rear CRT projection for “video visions’ first on-stage use by the Ririe Woodbury Dance Company. First live video effects and projection in a live production in Utah. TV Specialists, Inc. invented and introduced the ZIII shoulder professional camcorder system – the first recorder system to use a high-band Lumachrome recording system prior to professional SVHS Y/C professional recording systems. The signal-to-noise ratio and resolution was improved with the modified Y/C signal so that it was never encoded until final playback. 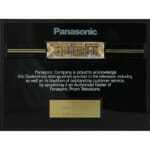 TV Specialists, Inc. started selling Panasonic PT-101 3-CRT video projectors. TV Specialists, Inc. introduced the 2nd generation “Wizard” (first A-B roll digital effects systems with dual time base correlators under $10,000). It used a second time base corrector (TBC) to sync VCRs. TV Specialists, Inc. invented and introduced the “Wizard” – the first A-B roll digital effects systems with dual time base correlators under $10,000. The dual time base correlator, in this first generation was really a single time base corrector with a very tricky genlock circuit which allowed the two tape decks to synchronize in order to do dissolves and effects. It was shown at both the Long Beach Video Expo and the New York Video Expo. 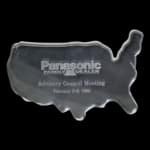 After Matsushita Electric flew Ted Bollinger to Japan, he received the “Outstanding Achievement & Continued Cooperation” award from Matsushita Electric – Panasonic’s former name. It was presented by a member of the Matsushita family. TV Specialists worked with the LDS Church and Howard Smith, who was KSL’s chief engineer, to set up the first projected Priesthood session via microwave transmission to the Ensign Stake Center. TV Specialists, Inc. develops and licenses Stan Schubach to sell the first 2 hour (extra-long playing) video cassette tape recorder based on Panasonic’s NV-2125 3/4″ VTR. It was called the TeleProSys and the model was TPS-230. Unfortunately, VHS came out in 1977, so the Tele-Pro-Sys was short lived. However, VHS used the same technique as the Tele-Pro-Sys did to eliminate the “guard band” between the video tracks. TV Specialists, Inc. purchased property on the east side of building to 300 East. Demolition began for the new building. TV Specialists, Inc. showed the first “consumer’ VCR at the Salt Lake HiFi Show. We featured the Quasar Great Time Machine, which was the predecessor to the VHS format. TV Specialists, Inc. begins selling Kloss Novabeam 1000A CRT projector. 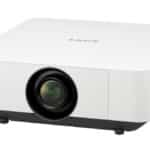 The first ‘affordable’ (under $4,000) video projector for home and business. TV Specialists, Inc. began selling 3/4″ U-Matic and U-Vision video cassette recorders (VCRs). Building became fully occupied with 4 inside and 3 outside full-time technicians and two secretaries. TV Specialists began selling Panasonic’s first 1/2″ NV-8100D reel-to-reel video recorders (shown in left behind camera). The TV Specialists building was extended on the south side to accommodate in-car radio repair and extend TV and Hi-Fi repairs. TV Specialists began selling and servicing Panasonic NV-204 1″ reel-to-reel black and white video recorders and black and white cameras. 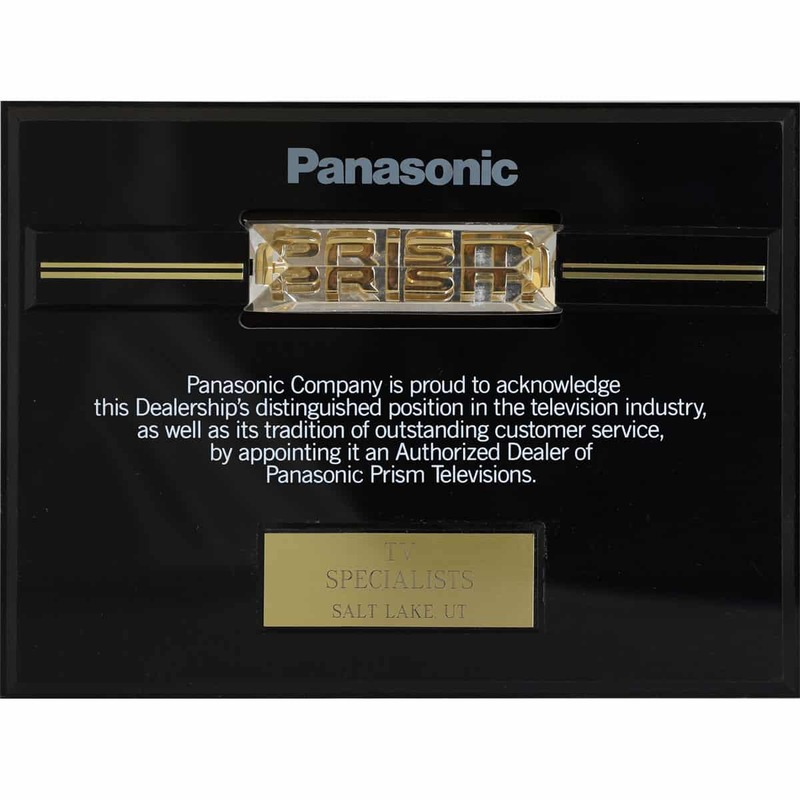 TV Specialists, Inc. became the 1st in Utah to become authorized Panasonic professional video products dealer. TV Specialists Building became fully used by TV Specialists. Ken Bollinger negotiated service contracts with Granite Furniture and JC Penny in Salt Lake City for Magnavox and RCA. TV Specialists purchased property and began building its own “shop” at 170 East 2100 South. TV Specialists was officially incorporated. When the building was built, half of the small building was rented to lawyers. TV Specialists moved to 300 East and 2100 South, Salt Lake City, UT. TV Specialists was located below a dance studio on the right side, next to a small cafe – all inside the same building. Ken and Veloy Bollinger started TV Specialists from their home in 1953. Veloy answered 3 phone lines; Ken ran service calls and fixed difficult chassis in his basement at night.